Participation in the research for Robert Dilts´new book (2015). Robert Dilts is one of the main developer of Neuro-Linguistic Programming (NLP). 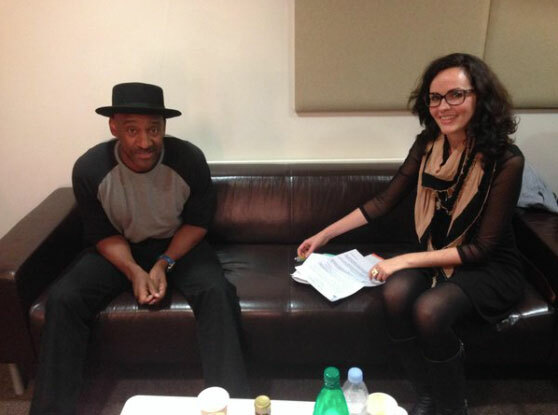 Magali Folmer led a series of in-depth interviews with artists like Marcus Miller (Ambassador for peace at UNESCO) and his manager Bernard Dulau; pianist Grégory Privat and photographer Louise Oligny. The objective was to understand and model their success as artists-entrepreneurs who have a positive impact on the world through their artistic projects. You can see Louise Oligny artistic work in Paris suburb Mont-Mesly here and a video of part of that project. “In recent years, a new generation of entrepreneurs has emerged who are interested in much more than financial gain. Characterised by people like Steve Jobs, Richard Branson and Elon Musk, this new generation of entrepreneurs is also deeply committed to living their dreams and making a better world through their projects or ventures. By combining personal ambition with the desire for contribution, growth and fulfilment they have made game-changing and world- changing innovations that have transformed the way we live and do business. The analysis of the “artists as entrepreneurs” does not appear in the Volume 1, which focused on successful Business cases.